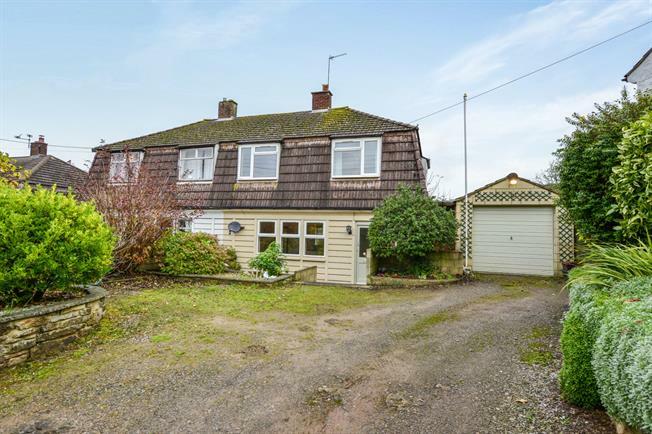 3 Bedroom Semi Detached House For Sale in Wells for Asking Price £209,950. This three bedroom semi detached family home briefly comprises; Entrance hall with under stair storage, lounge with feature fireplace, dining room with views out to the rear garden, kitchen also benefiting from views out to the rear garden and beyond, WC and access to the rear. On the first floor you will find two double bedrooms with built in storage and both benefiting from countryside views, single bedroom with views to the front and family bathroom. The property also benefits from ample parking, large garage with power and lighting, workshop in the garden and good size garden. Front door. Radiator, tiled flooring. Double glazed uPVC window facing the rear overlooking the garden. Tiled flooring. Fitted and wall and base units, stainless steel sink, space for, freestanding, electric oven, space for fridge/freezer. Double glazed uPVC window with obscure glass facing the side. Tiled flooring. High level flush WC. Double bedroom; double glazed uPVC window facing the rear overlooking fields. Radiator, carpeted flooring, a built-in wardrobe. Single bedroom; double glazed uPVC window facing the front overlooking fields. Radiator, carpeted flooring. Double glazed uPVC window with obscure glass facing the side. Radiator, vinyl flooring. Low level WC, panelled bath, shower over bath, wall-mounted sink.